A close-up view of a dew covered sawfly (Tenthredo celtica) resting on a spent bramble flower. 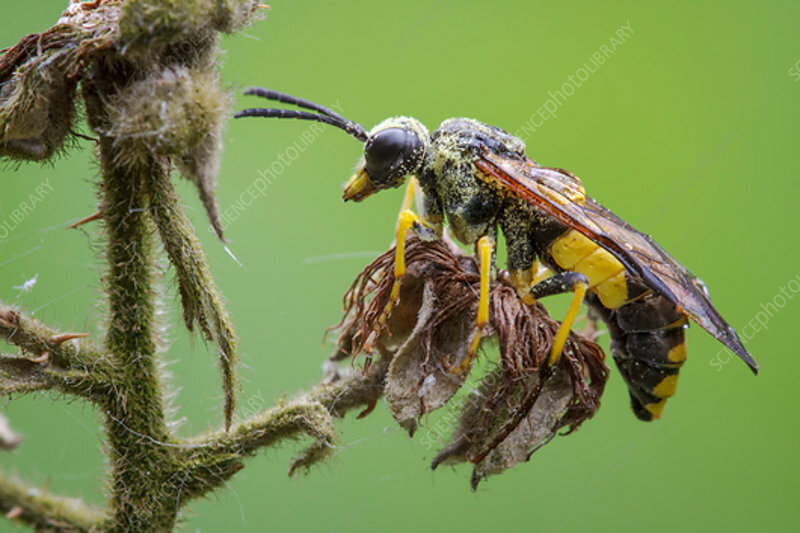 This is an easily distinguishable sawfly with a black and yellow body which makes it a great wasp mimic. Adults can be found nectaring on umbelifers. Photographed in Somerset, UK, in April.